This is the home you have been looking for to house and entertain your large family. From the number of bedrooms to the size of the rooms,it is amazing how open and functional this home is. Choose to have your master on the main floor or in the finished basement, both have full baths and walk-in closets. The bsmt Master bath jetted tub is heated. There is no shortage of closets space in this home, there are multiple closets throughout. Even though the home has not been updated, it is in great condition. The refrigerator is 4 weeks old, the hot water heater is newer, newer dishwasher, newer microwave and newer garage door opener with newly replaced garage door springs. Also, brand new paint on the east, west and south sides of the home. 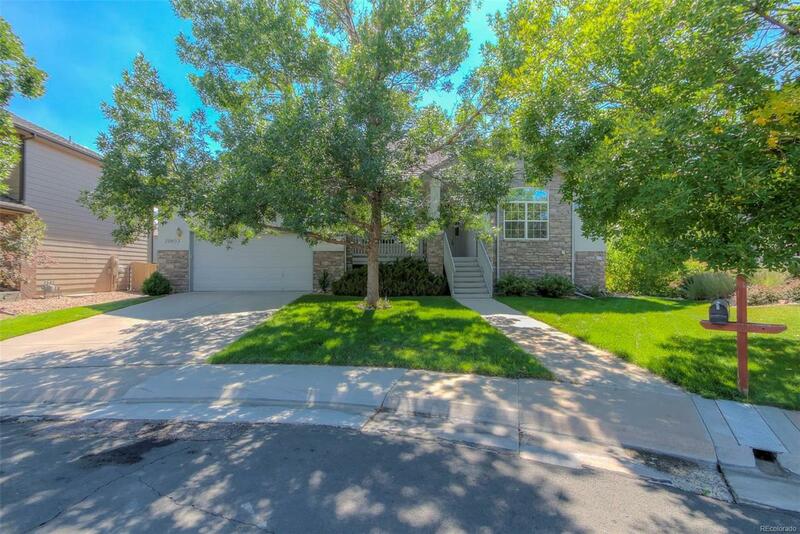 The property is perfect for the kids, near the neighborhood park and schools and situated on the private cul-de-sac. The garage is a 3 car tandem but because of the wonderful built in shelving, it is better for parking two cars and extra storage.